A new law has just been introduced that will require salon professionals to get training in domestic abuse prevention. Could your hairdresser save your life? The good people of Illinois in the US believe this could be the case. Hairdressers and barbers hear it all. As clients sit back and have their hair cut they often divulge secrets they would never tell another soul. In some ways the new law might seem improbable, but with domestic violence destroying so many families, surely anything that can help has to be welcomed. The training stylists will receive is an hour-long awareness and education programme called 'Listen. Support. Connect'. The legislation was introduced by state representative Fran Hurley, who believes there is an openness to the relationship between hairdressers and their clients. He feels that hairdressers are in a position to see something that "may or may not be right". Mr Hurley clarified that the law won't make it mandatory for salon professionals to report incidents of domestic abuse. Nor would these professionals act as counsellors. The training will simply provide salon employees with information that will enable them to help potential victims get the assistance and support they need. Abusers will often hit their victims in places that aren't visible or where an 'accident' could easily explain the injury. So they often hit and punch in the back of the head, where a bruise or bump can't be seen by most people. A hairdresser, however, can see things that are not visible to the casual observer. 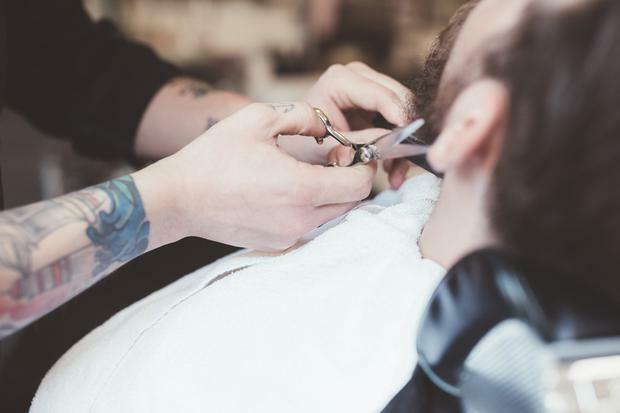 Opposers of the law feel it could add unnecessary pressure for barbers and hairdressers to inappropriately and invasively insert themselves into customers' lives. They worry about overstepping the mark or getting too involved. But hairdressers should be reassured to know they have been represented and involved from the beginning by Cosmetologists Chicago. The training has been carefully designed by Chicago Says No More, a coalition of domestic violence advocacy groups, in partnership with Cosmetologists Chicago. Cosmetologists Chicago made sure the law does not require beauty professionals to become involved or report violence unless they choose to. Kristie Paskvan, founder of Chicago Says No More, said she knew an hour-long training course wasn't going to make a hairdresser an expert in domestic abuse. "We're not asking the salon professionals to intervene. We're just asking them to have the tools in case the clients ask for information," she said. Over the next two years it is hoped the initiative will train more than 88,000 people, which can only be a good thing. Awareness is one of the most important factors in domestic abuse. One-in-five Irish women is a victim of domestic violence and the impact doesn't stop with the women. The impact of this abuse also affects the children, and the community around them. Educating bystanders and empowering them with information and tools to help is a positive step. In Ireland last November, the Government launched a domestic violence campaign that is aimed at involving bystanders and getting them to act or offer support. The campaign is based on research which shows that although 70pc of people think domestic abuse in Ireland is a common problem and wish to help, people were unsure of what to do in reaction to incidences of domestic violence. Figures in the Attitudes to Domestic Abuse in Ireland survey show that 9pc of people would help a friend, 65pc would help a stranger and 38pc would help a neighbour being subjected to domestic abuse. Margaret Martin, director of Women's Aid, said that if you saw an incidence of violence, that was a crime that needed to be reported, "just like a car crash would be". While the campaign is welcome, it comes after a very tough few years where domestic abuse services had been severely affected by the recession. Over the last seven years, Government funding to Women's Aid has fallen by 31pc. "These cuts have a real impact on the lives of thousands of women and children living in fear in their own homes," Ms Martin said. Whether you are a hairdresser, friend, or stranger, we owe it to those affected to try to help them in any way we can and being armed with information and a little training will surely help. It will be interesting to see how the Illinois law affects domestic abuse victims and how much it helps. Looking at ways to tackle domestic violence in new and pioneering ways is exciting, but until we get sustainable funding and proper, long-term commitment from the Government, progress seems likely to be slow and time is not something domestic abuse victims have on their side.